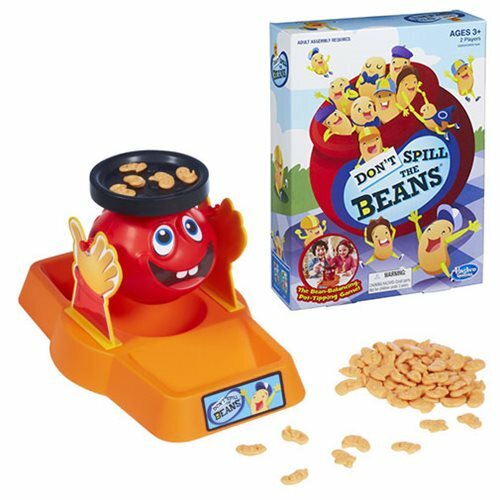 No beans about it... playing the Don't Spill the Beans game may result in lots of giggles! Take turns placing plastic "beans" on the wobbly pot, being very careful not to make the pot tip, spilling all the beans. The more beans on the pot, the more careful players need to be. The game comes with 64 beans, and the first player to get rid of all their beans wins! Includes 2 bean pot halves, bean pot lid, 2 hands, base, 64 beans, label sheet, and instructions. Ages 3 and up. 2 players.